Did you get that? 3,000 people compared to 500,000! And the one that has more engagement is the one where the prize is volunteering. 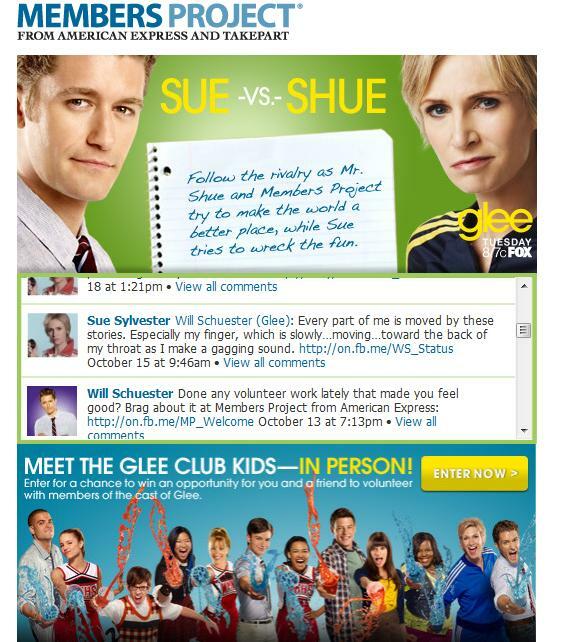 Ok, so it’s a chance to meet the Glee cast and fly to LA, too…but still. Just for tagging a few friends you could get tickets to practically anywhere, so it isn’t just the trip. And, you have to be 18+ for the Glee contest, so we are actually talking about somewhat rational people here. 2) Tangible reasons for engagement. 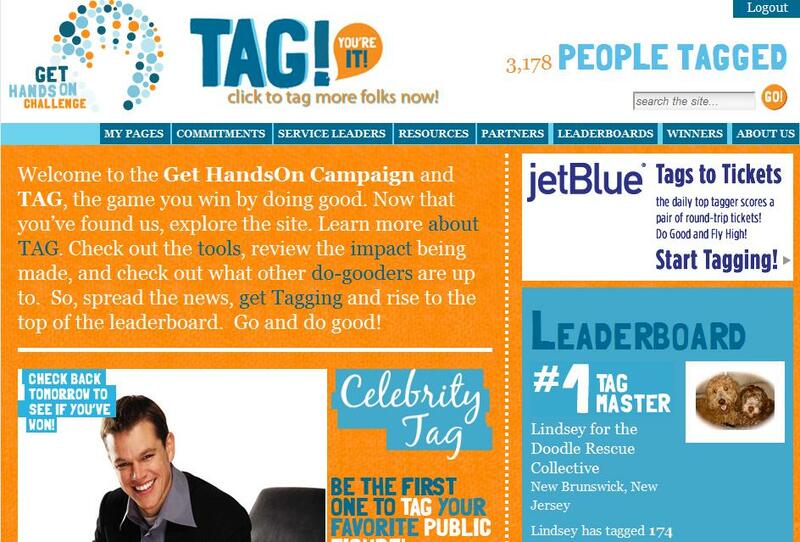 Sure, it’s great to be “tagged”, but the Members Project allows interaction and promotes tangible ways to take action and connect with service projects or charities. The HandsOn campaign seems to be missing that – you can make a commitment and tell people about it, but it’s hard to find new and cool projects (the most popular commitment right now is to use reuseable shopping bags…not exactly a novel idea). 3) Ease of use. With HandsOn, I’ve tried to tag about 200 people – no luck…a couple friends joined the site, but I wasn’t given credit for the “tag” (therefore, no prize). With Members Project, all you need to do is connect via facebook. 4) Banter. You want people to be talking to each other, right? Who doesn’t want to read (and comment on) the ongoing back-and-forth between Mr. Scheu and Sue? It keeps people coming back to the site, much more so than the relatively static journals associated with Tag. Thanks to HandsOn and the Members Project for making it cool to care – good luck to each of you. And for us volunteers? The best part is that we don’t have to choose, so sign up for both campaigns!